New Ireland Motors is your local friendly car garage. We are a family owned car garage based in The Baldoyle Industrial Estate, North Dublin. We specialise in used car sales, car servicing and accident repairs. 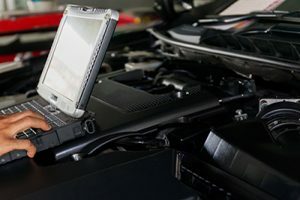 Your car is important to you and you can depend on us here at New Ireland Motors to give you the peace of mind you require when your car is in the garage. 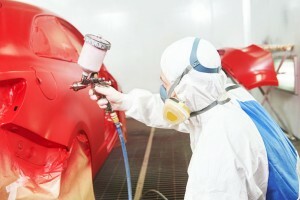 Your car will be repaired at a high standard, by honest people and at a fair price! There is no job too big or small. Call in to us today at New Ireland Motors, Car Garage, Baldoyle, to find out more or contact 01 8166667. Get my Audi A3 serviced here last week. Very happy with the service and was happy with the transparency of the cost - i think i got good value for money. Good, friendly people to deal with and seem to be trustworthy. Would recommend them. My family has being using New Ireland Motors for a number of years for area's such as car servicing, pre & post NCT checks and for my husbands van servicing. We have always found the staff extremely helpful, honest and professional. The competitive prices and clear break down of costs always encouraged my family to use the services of New Ireland motors. Only recently did we decide to upgrade our car, so we asked New Ireland to help source a car, be it in Ireland or an import from the UK. We chose New Ireland as we had difficulty with faulty dealers from Done Deal and similar online car sales sites, and New Ireland had always been very honest to us. 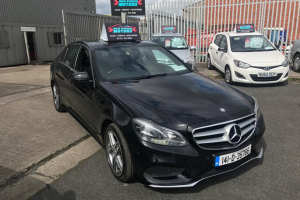 Within a short space of time, New ireland had sourced a state of the art Mercedes E300 from the UK at an absolute bargain, well below the market value. We were very impressed with New irelands assistance, as the car had very little mileage and outdone the standards we had expected amd the requirements we had laid out. 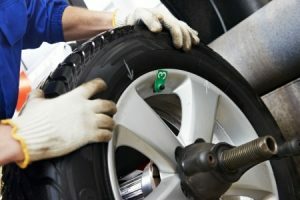 I would highly recommend using New ireland Motors for all car enthusiasts be it servicing or seeking to get a new car. We wil continue to work with New ireland in the future. At New Ireland Motors We also offer panel beating, gearbox replacement, spray painting, engine repairs, key scratches, plastic welding, rust removal, NCT bodywork repairs and much more. For a full list of our services click HERE. Or pop into the Car Garage, Baldoyle Industrial Estate and chat to one of our mechanics about what you need.